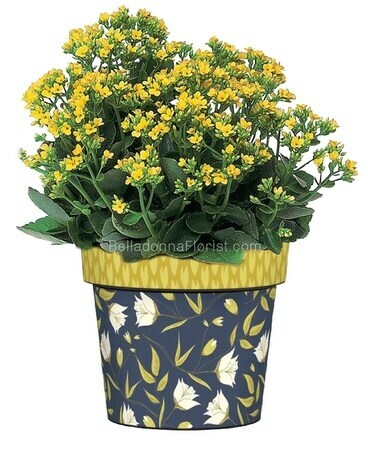 Cheery Sunshine in a planter! 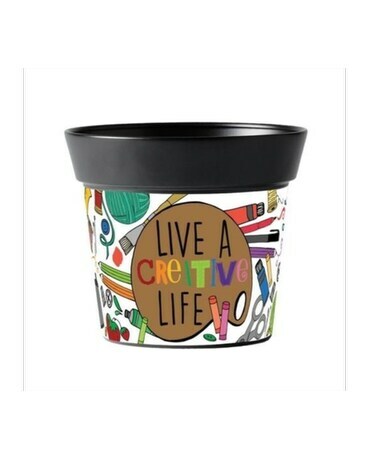 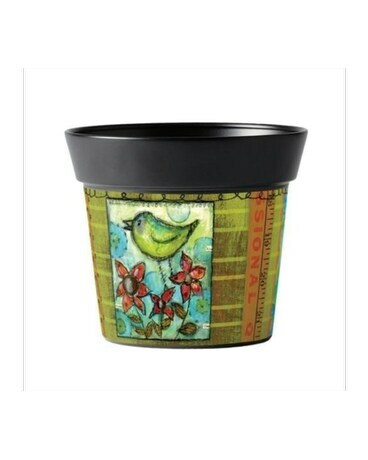 This Bright Art pot features original artists designing hand applied and combined with a Blooming or Green plant. 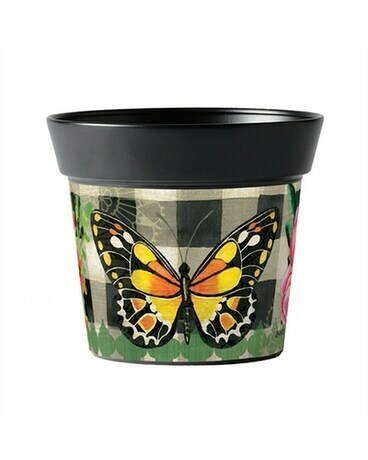 Plant varieties change based on availability, if you have a preference please note in special instructions at checkout and our design team will do their best to fill it.